I have been involved in the oil and gas industry in one form or another since 1984. I was corporate counsel for Bow Valley Petroleum Co. in Charleston, West Virginia, and CNG Development Company in Pittsburgh, Pennsylvania. As corporate counsel for two significant oil and gas producers, I was personally involved in every aspect relating to the oil and gas industry from the acquisition of leases from landowners to the exploration for and production and sale of oil and gas. 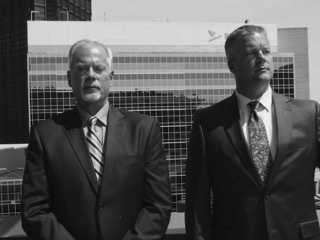 In 2010, Attorney Steven Townsend and I formed ShaleAdvice, LLC, which is a Pittsburgh based firm representing landowners interested in leasing their minerals to an oil and gas producer. Steve and I recognize there is a need for experienced oil and gas attorneys to assist regular folks negotiating for favorable leasing terms when dealing with savvy and, unfortunately in many cases, unscrupulous producers and their land acquisition contractors. To learn more about what ShaleAdvice, LLC can do for you, please visit our website at www.shaleadvice.com.